Hair extensions came on to the hair scene many years ago with their popularity ever growing. In fact, evidence shows they first appeared in Cleopatra’s time around 3440 B.C! Made from human hair or sheep wool and used as hair pieces and wigs, they could be dyed mostly gold or red. 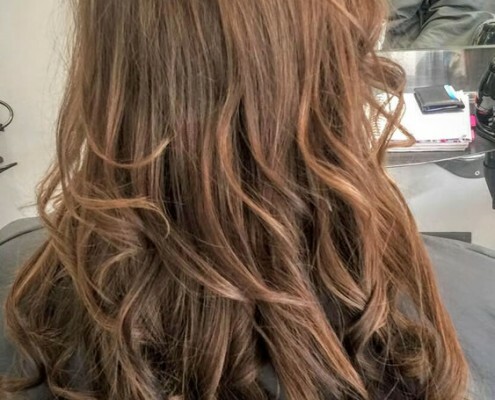 Thankfully, nowadays there are many varieties of hair extensions and methods of creating length and volume, not to mention hundreds of colour combinations. They started to take off in the 1990’s and are embedded into our hair history. You can have any amount of hair extensions that you require. Sometimes, a few can add a little volume, length or colour, without changing the look drastically. Or for a transformation, you can have a whole head applied. There are many methods used to apply hair extensions. At 77 The Hill, we researched methods and makes and came to one conclusion. Our extensions are from Great Lengths. They are made from human hair from a Temple in India and then exported to Italy where it is boxed up and imported to the UK. It can be brought in any length and any colour. 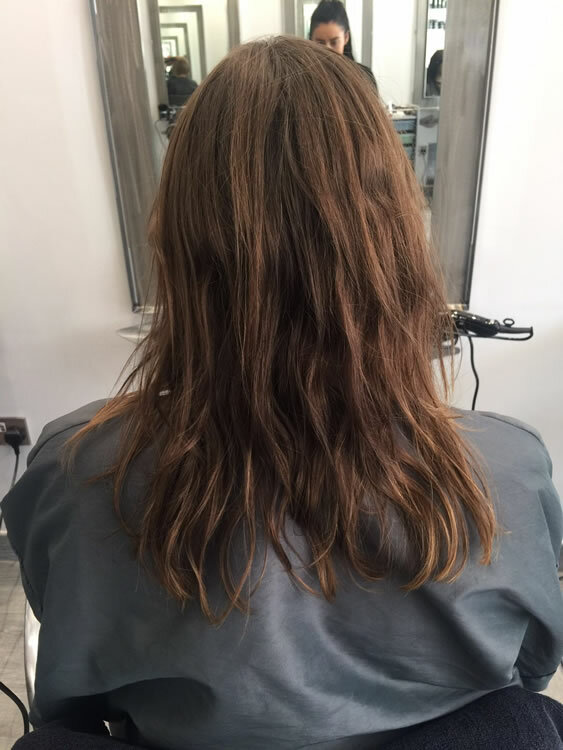 We use cold fusion method as this is the most natural, least damaging to the hair and grows out naturally as your own hair grows. Quite simply it is the best and looks the best. We can also supply, glue-in hair pieces made by Great Lengths with the same quality hair used. This is best for special occasions or events, or if you want to try out hair extensions to see if you like them. They last up to 2 weeks. 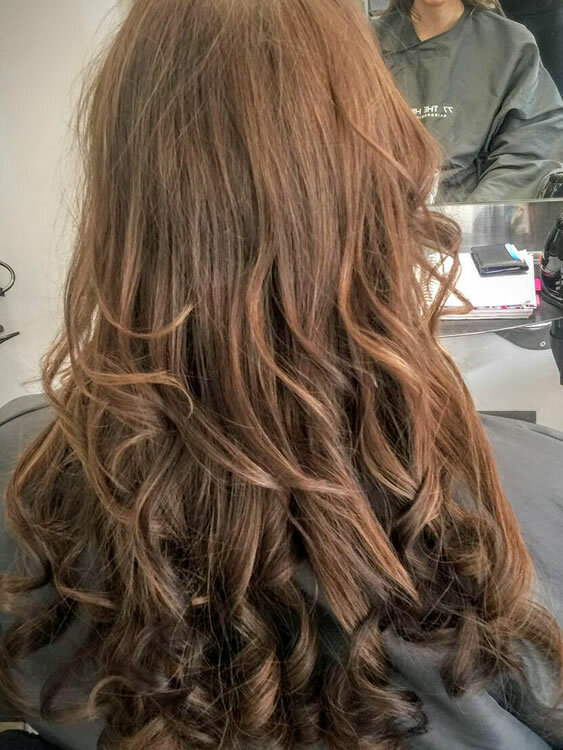 There are 100’s of shades and combinations of colour to choose from and each strand is prepared by Natalina to make sure the right amount of hair is added and for the most natural look. 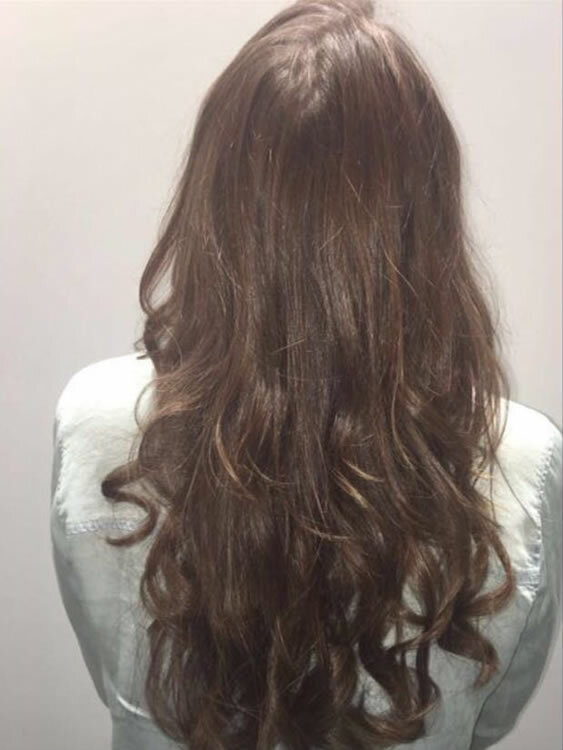 “After being introduced into the world of Great Lengths hair extensions, it opened my eyes to another world of adding hair! Adding colours that clients could not achieve with their own hair! Making hair look fuller, youthful and most importantly keeping it in its most natural state and of course added length! I absolutely love putting hair extensions in and making people feel good about their hair. 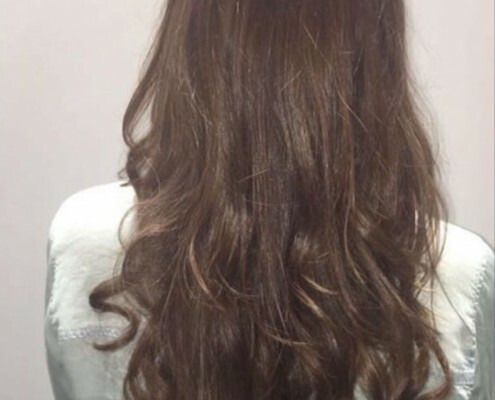 The most important thing I love about Great Lengths extensions is the way they have been prepared, “from root to tip correct” keeping the correct p.h. 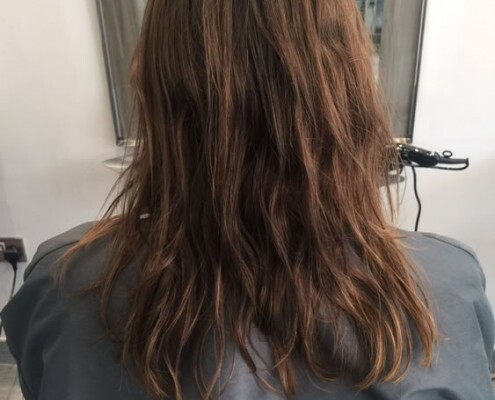 balance, so the condition of the hair stays excellent, even after having them in for months. They’re not heavy on the hair and do not damage the hair in any way. I have Great Lengths in my own hair too along with two other staff members. A testimony to how good they are.